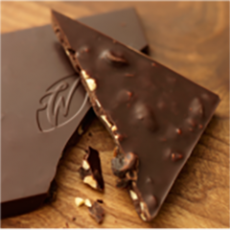 An intensely beautiful 54 milk chocolate. 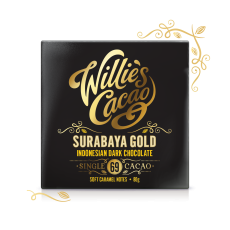 Close your eyes, and as the chocolate melts taste the deep caramel notes characteristic of this remarkable bean from Surabaya in Java. 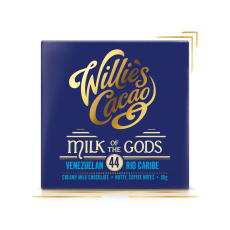 These are so different to the nutty, coffee notes of the Rio Caribe bean used in Milk of the Gods. 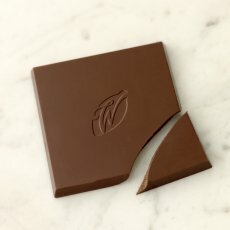 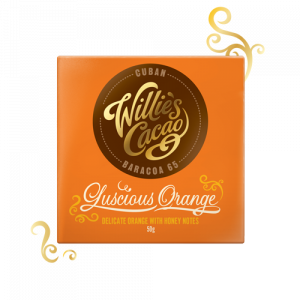 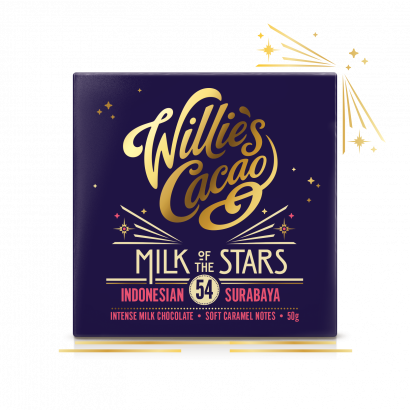 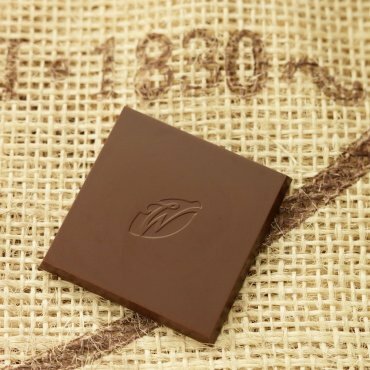 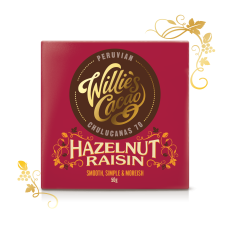 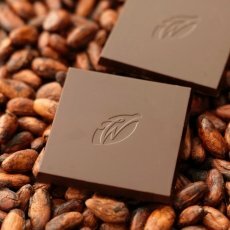 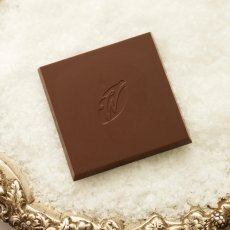 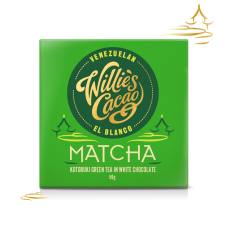 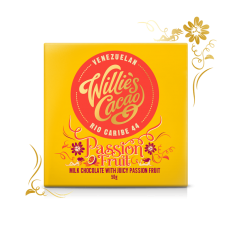 This is bringing the delights of discovering the flavours of different beans to milk chocolate lovers. 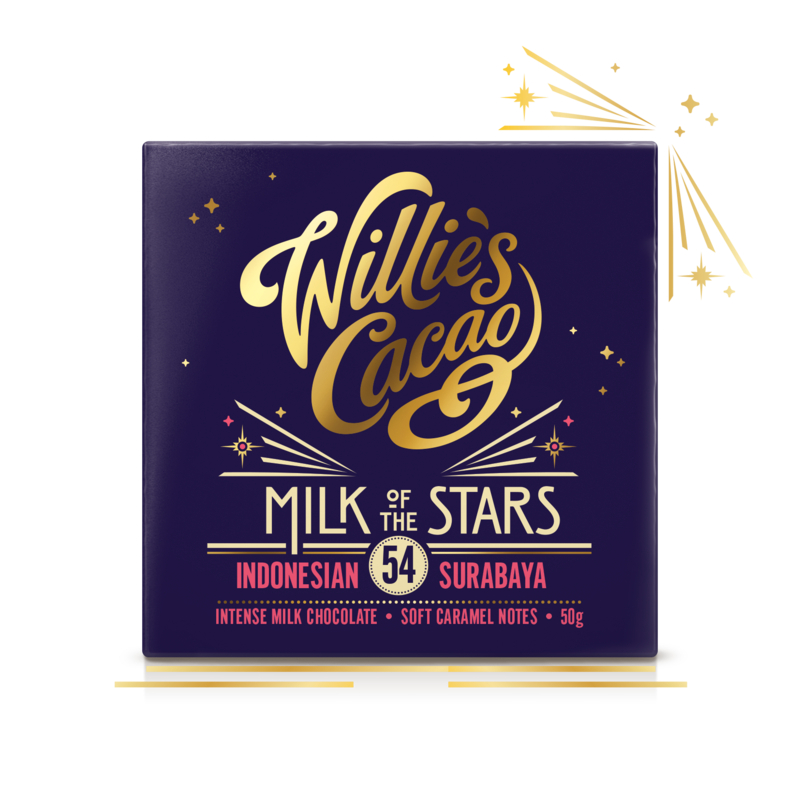 I make all my chocolate from ‘bean to bar’, to capture the mind-blowingly different flavours of the world’s great,not only single origin but single estate cacaos . 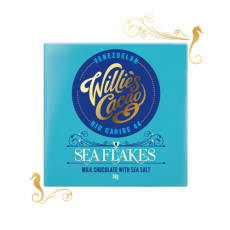 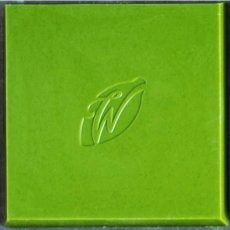 That is why this chocolate contains simply cacao, raw cane sugar, milk and natural cocoa butter- no vanilla or soya lecithin- 100% Natural and Pure artisan chocolate which is all made in small batches in the factory in Devon. 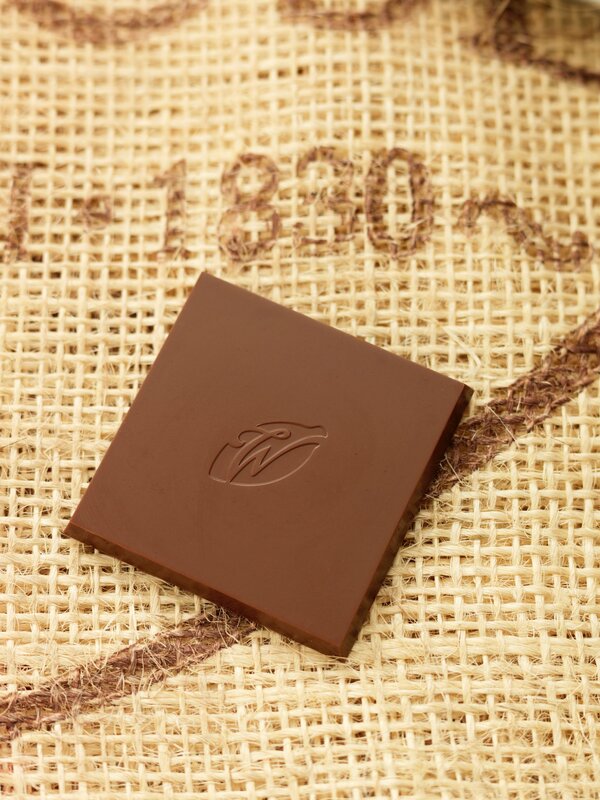 Nothing more, nothing less, simply sublime.